There are 2 ways to resize an image. Way 1 is the preferred method. 1. 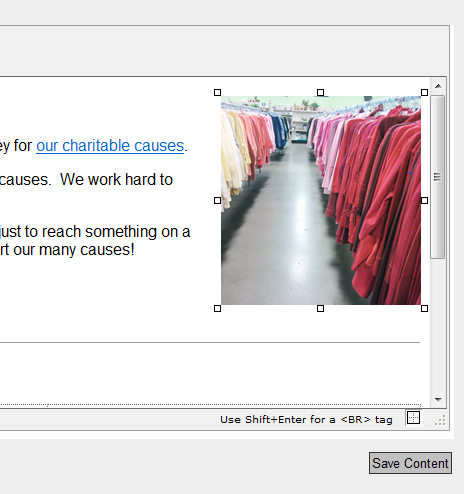 After you have your image inserted and the image is showing in the Edit Content Area, double click on the image or right click and choose image properties. 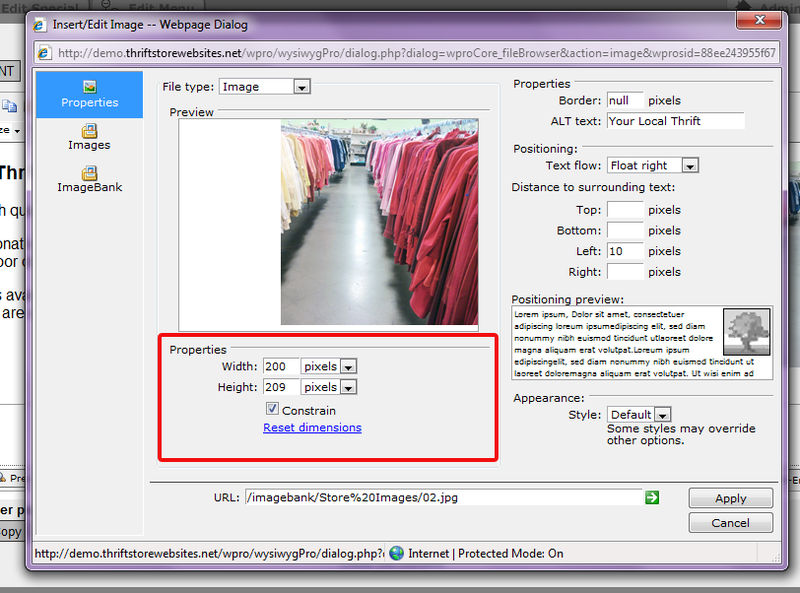 Once you have double clicked the image, you will get the images property box. From here, you will change EITHER width or the height property, then press the TAB key on the keyboard. This will change the other value to keep the image proportional. Click on Apply and your image will be resized. Now Save Content.